Cub, a relatively small and unobtrusive dining space tucked away above a bar in London’s Hoxton, is far from being the UK’s highest-profile restaurant opening of the past 12 months. But it may just be the most important. 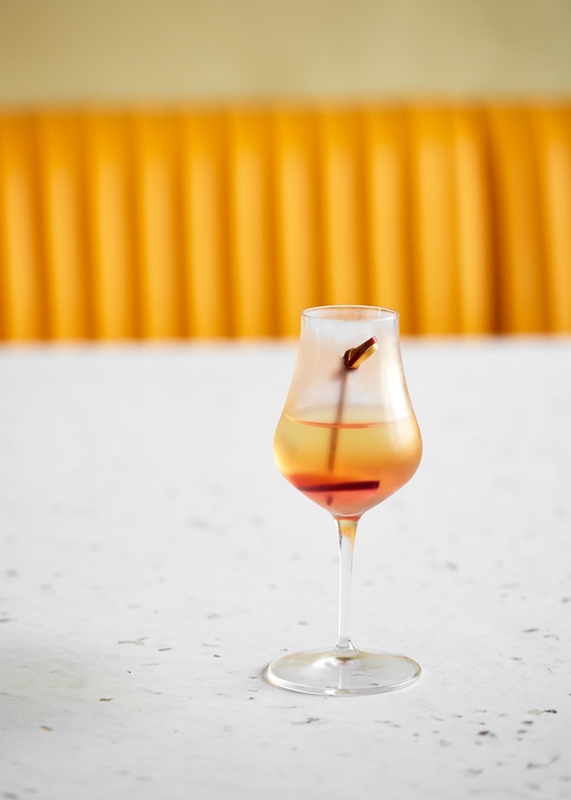 The product of a collaboration between one of the world’s most respected cocktail makers, Ryan Chetiyawardana, and passionate young British chef Douglas McMaster, Cub takes the idea of ‘zero waste’ to new levels, while simultaneously offering a premium and highly innovative eating and drinking experience. 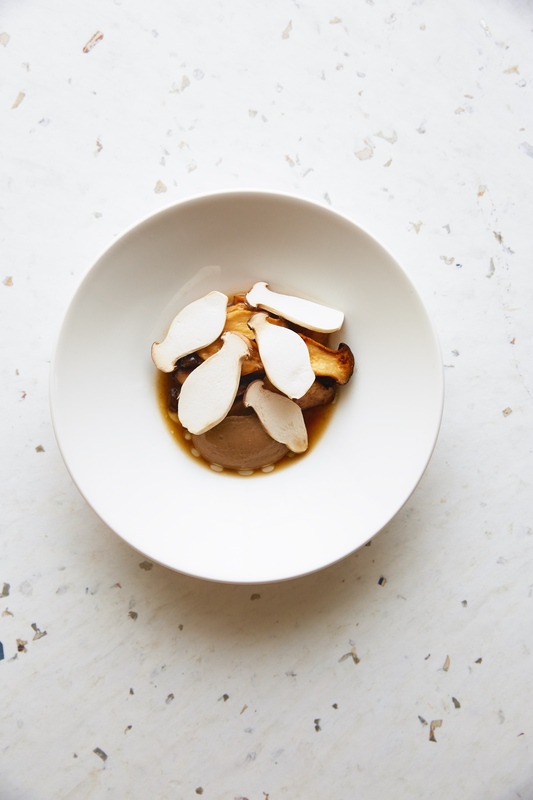 Not only does the pair use all parts of the vegetables, animals and plants they source, but they transform seemingly unappetising ingredients such as Japanese knotweed and composted carrots into tasty dishes that challenge restaurant norms. Cub’s menu does not distinguish between drinks and dishes: the two merge and blur throughout the night – and not just due to the strength of some of the beautifully balanced cocktails (bear in mind that Chetiyawardana’s flagship bar in the Mondrian London hotel is rated at No.2 in the prestigious World’s 50 Best Bars list). Indeed, the kitchen and bar operate as one, with chefs and mixologists sharing their tasks, and their knowledge, in a single open workspace. Guests are presented with intriguingly titled creations such as ‘Shrooms on Shrooms’ and ‘Bones, Dulse, Bread’. Open only three evenings a week (Thursday-Saturday), Cub is a world away from a night ‘Out West’ at The Connaught or Kitty Fisher’s. However, it represents fine dining’s healthy, fresh-scrubbed face: one that is part of a wider global movement driven by some of the planet’s most acclaimed chefs. Indeed, it seems the gastronomic elite is becoming increasingly obsessed with showing us how to change our consumption habits in aid of a more sustainable future. Take the example of cerebral American chef Dan Barber, who remains Barack Obama’s go-to-guy with regard to food and restaurants. Last year he brought his WastED pop-up to Selfridges, providing a blueprint for the likes of Cub in the offcuts-based food movement. 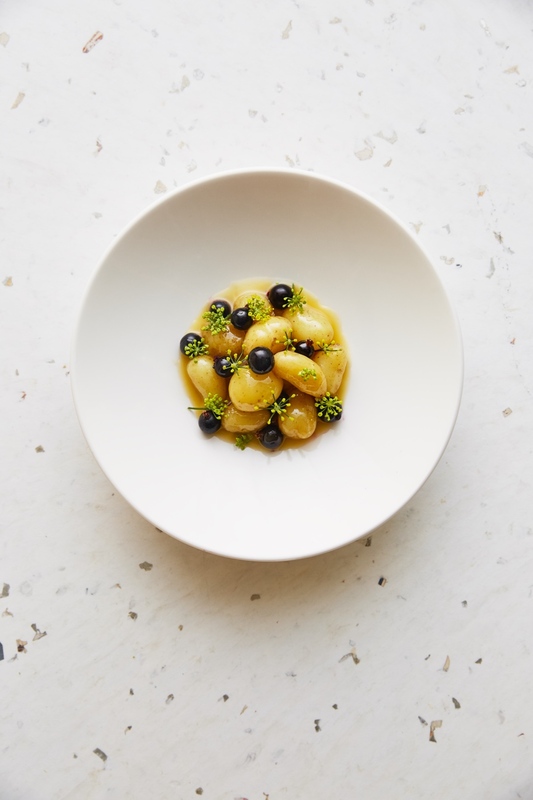 Back home in rural New York State, Barber is driving a radical reappraisal of how people view vegetables: they dominate the menu at his wildly popular rural restaurant Blue Hill at Stone Barns, served in ways and forms that you will almost certainly never have experienced before. Instead of eating just the traditional crunchy orange section of a carrot, for example, you also sample both the root and the sprouting flower, which possess their own complementary flavours and textures.Meanwhile Massimo Bottura, an Italian force of nature whose Modena restaurant, Osteria Francescana, has topped The World’s 50 Best list, is cajoling us further. He has used his considerable culinary clout to encourage diners and home cooks alike to reappraise what they eat and how they cook through his ‘Food for Soul’ project. He’s launched a series of refettorios around the world, so far taking in Milan, Rio, New York, London and Paris. Each establishment gathers offcuts from restaurants and retailers and transforms them into nutritious meals for the homeless and vulnerable.To aid his cause, he has recruited gastro-luminaries such as Alain Ducasse, René Redzepi and the Adriá brothers to create recipes out of offcuts and ‘unused’ ingredients – even persuading them to take their turn manning the stoves at these kitchens (albeit to a largely oblivious audience). This feel-good food is gathered in a 50-recipe book, Bread is Gold, which has a stated mission to “change the way you think about and use food to make extraordinary meals with ordinary ingredients – and make a difference”. With such big-name chefs and mixologists leading the charge, diners in their in-demand restaurants and bars are being forced to rethink what a ‘luxury’ meal necessarily entails. Next time you head out to a high-end restaurant, don’t be surprised to find yourself eating vegetable peelings, fruit cores, fish cheeks or pig’s ears. This movement – embracing not just nose to tail, but root to fruit – actually takes society full circle to more traditional and sustainable methods of food usage. Just don’t expect old-fashioned prices while you’re there ..